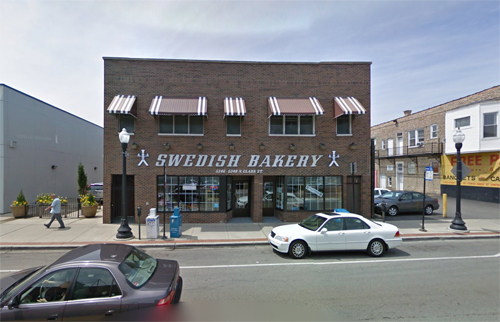 The Swedish Bakery is located on 5348 North Clark Street in Andersonville Neighborhood in Chicago, USA. The Swedish Bakery is famous for specializing in Swedish coffeecakes, cookies, sweetrolls, toast, petit fours and marzipan cakes. We are known for using unique ingredients such as cardamom, saffron, anise, fennel, orange peel and almond paste. We are proud to offer our customers products that are never frozen or have any added preservatives. We also offer a wide variety of Northern European and traditional American breakfast items, pastries, cookies and cakes for all occasions. A full list of our products and prices are available here. Our most popular items are our Andersonville coffeecake, cardamom coffeecake, Swedish and butter cookies as well as our fruit glazed cake. 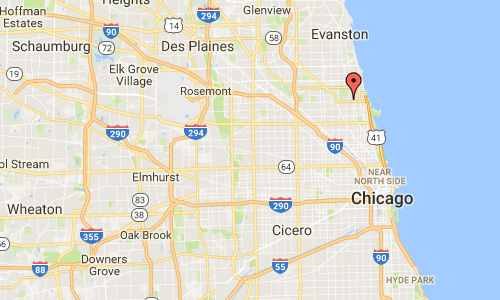 Most of our products are offered for shipping within the Unites States. Please check our online shipping store for more information. 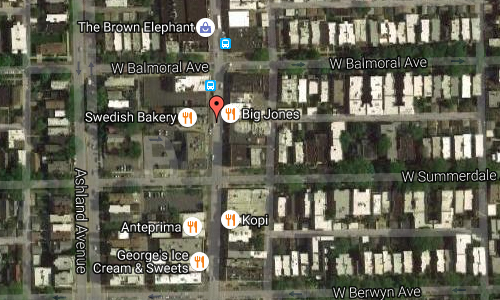 Andersonville is a neighborhood in western Edgewater / Uptown, Chicago. 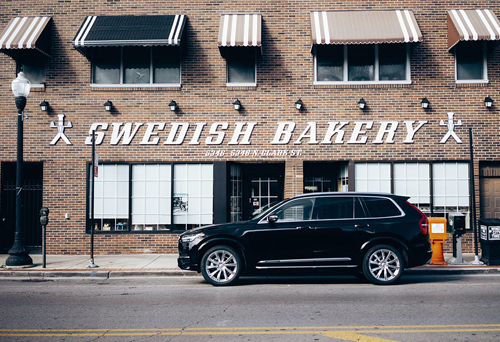 Once a sleepy little village made up primarily of Swedish immigrants, the community is particularly known for its diversity, including a continued Swedish cultural presence led by the Swedish American Museum, the Swedish Bakery and other Swedish businesses. Swedish businesses include the bar Simon’s Tavern, a former basement speakeasy, which serves the Swedish wine drink as glögg, and Svea restaurants. At one time there were more Swedes in Chicago than any city outside of Stockholm. Many of Andersonville’s Swedes were carpenters, contractors and architects, and played a significant role in building the city. Andersonville’s roots as a community extend well back into the 19th century, when immigrant Swedish farmers started moving north into what was then a distant suburb of Chicago. In the 1850s the area north of Foster and east of Clark was a large cherry orchard, and families had only begun to move into the fringes of what is now Andersonville. The neighborhood’s first school, the Andersonville School, was built in 1854 at the corner of those two thoroughfares, and served as the area’s primary school until 1908. 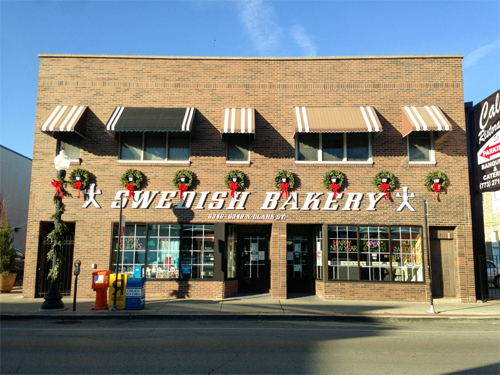 Today, in addition to being one of the most concentrated areas of Swedish culture in the United States, Andersonville is home to a diverse assortment of devoted residents and businesses, including one of Chicago’s largest gay and lesbian communities, a collection of Middle Eastern restaurants and bakeries, and a thriving Hispanic commercial area north of Catalpa Avenue. More information at en.wikipedia.org and www.swedishbakery.com.